KyoLAB KyoLAB is an expert in Compliant Messaging Solutions, including Compliance Archiving, Secure Messaging, Mobile and Collaboration. KyoLAB specializes in Regulations Technologies including Know Your Device, Know Your Client, Compliance Archival and Instant Messaging Compliance solutions. We help businesses engage with their clients via popular mobile messaging apps like WhatsApp or WeChat in a compliant way. Founded in 2016, KyoLAB set out to become your partner for mobile compliance. Our technology allows you to mitigate compliance risk by monitoring and archiving popular mobile messaging apps such as WhatsApp, WeChat, and Telegram. Our real-time analytics gives you transparency for compliance and valuable insight into your customer base. KyoLAB specialises in Regulatory Technologies (RegTech), including compliance monitoring, compliance messaging, and context analytics. Archive the most popular instant messaging (IM) apps for mobile audit trail and dispute resolution. Gain full compliance visibility and management of mobile endpoints from a single admin console. We currently support Android, iOS, and Web client, for Corporate and Bring Your Own Device (BYOD). We help businesses engage with their clients through popular mobile messaging such as WhatsApp, WeChat, and Telegram in a regulatory compliant way. Mobile messaging apps are rapidly growing as a means for business communication. The problem is that most of the popular apps are not compliant. Regulated financial services have been fined billions of dollars for misconduct since the financial crisis. Regulators reacted by demanding that all electronic communications and transactions are monitored, retained and retrievable. MiFID II is coming in January 2018 - we help you to become mobile compliant. Popular mobile messaging apps such as WhatsApp, WeChat, and Telegram are here to stay. Yet, when financial services use these apps to conduct business, they become liable. These popular apps are not compliant. KyoLAB solves just that. KyoLAB provides the needed compliance technology for those popular social messaging apps that your clients and employees love to use. We have an experienced and very dedicated team, connected across the globe, to help bridge the gap between compliance requirements and our love for mobile messaging. KyoLAB bridges the gap between regulatory compliance and mobile messaging. We enable audit trail and dispute resolution for apps such as WhatsApp, WeChat, Telegram, Skype, Messenger, and others. Using our multitenant architecture and role-based access, you can delegate across departements. Get transparency through our real-time analytics from our modular, role-based analytics dashboards. Conveniently monitor conversations for corporate-owned and employee-owned (BYOD) mobile devices accessing business data. Our mobile device management (MDM) offers more control and visibility. We support your business by protecting your corporate information through enhanced device security and data loss prevention (DLP) policies. Securely deploy, manage and retire assets through our platform. KyoLAB participated in the Startupbootcamp FinTech London accelerator programme in 2016. Startupbootcamp researched almost 1,000 FinTech startups, visited financial centres across four continents and reviewed over 450 applications from 61 countries. During the Selection Days in July 2016, the 9 very best FinTech startups were chosen to join. KyoLAB is currently participating in the international Citi® Tech For Integrity Challenge 2017. 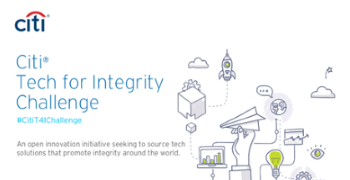 The Citi® Tech for Integrity Challenge (T4I) is a global initiative to invite and encourage technology innovators from around the world to create solutions to help public sector entities increase transparency and promote integrity and accountability . Regtech: Making WhatsApp and WeChat compliant with market trading rules. KyoLAB is making WhatsApp, WeChat and Telegram compliant with regulations like MiFID II. Making Encrypted Messaging Apps Comply With Regulations - Many within capital markets communicate using WhatsApp, WeChat, and Telegram - and these will have to become compliant. How Mobile Technology is Bridging the Gap between Compliance and Mobile Messaging. Financial IT speaks with Jan-Michael Gorecki, Founder and CEO of KyoLAB. The start-up view: a year in FinTech. How a maturing industry is moving towards collaboration to create value for customers and society. A co-written report between Startupbootcamp and PwC. KyoLAB helps businesses engage with their clients through popular mobile messaging apps like WhatsApp or WeChat in a compliant way. We mitigate compliance risk by monitoring and archiving mobile messaging. © 2016-2017. KyoLAB Limited. All rights reserved. All other logos, company names and product names are the property of their respective owners.